For its 18th birthday, the V.I.E. – The Volunteer for International Experience scheme run by the French Trade Commission – has freshen up with us. 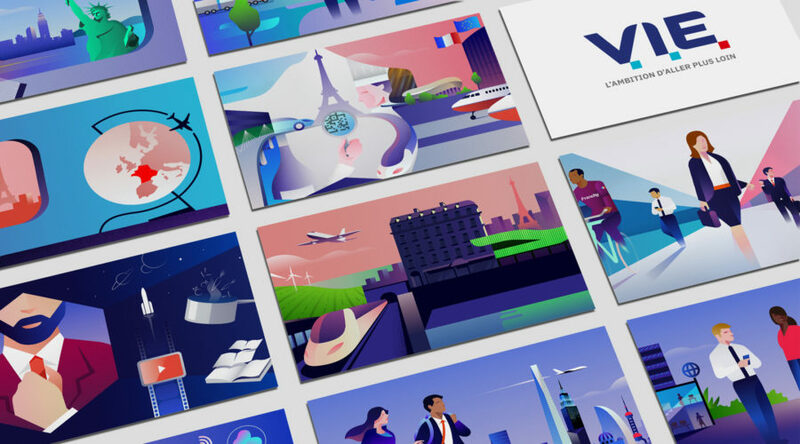 The new visual identity is declined on all V.I.E.-related programs. – Emphasizing its success among graduate students and young professionals.